The questions and the allegations keep coming in the Petraeus scandal that has blazed for days, reducing the general’s position to dust and licking at the doors of a growing cast of characters. But the one thing that seemed fireproof was the fact of Paula Broadwell’s academic prowess: until now. Because Paula Broadwell did not complete that PhD. She did not fulfill the demanding requirements of the public policy programme that facilitated her meeting with David Petraeus. It is a detail she has repeatedly glided over, allowing the truth to slip unnoticed to the floor in each book promoting interview and talk. So close that she took classified military documents home; so close that she felt entitled to warn socialite Jill Kelley off the man she clearly considered her own. Nothing quite explained all that. But her much vaunted intellectual prowess did at least go some way towards bridging that troubling, yawning gap between Paula Broadwell the unknown and Paula Broadwell the soldier- scholar, biographer to David Petraeus. Well it doesn’t anymore. The details of her shortcomings are unclear but Kennedy School faculty and enrollment records show that Paula Broadwell did not continue at Harvard after two years. Presumably it was that personality that relieved David Petraeus of his critical faculties when he invited Paula Broadwell well and truly into his camp. Paula Broadwell left Harvard with a lesser diploma in 2008, a master of public administration, after one additional semester. 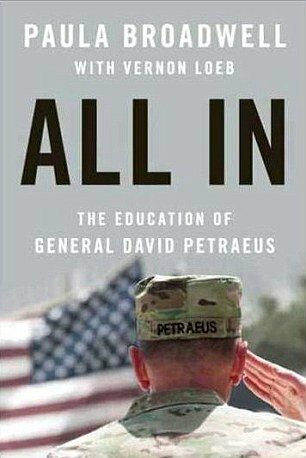 According to her former professor news that she was to become David Petraeus’s biographer shocked many in the national security faculty at Harvard because, “she just didn’t have the background – the academic background, the national security background, or the writing background”. On the face of it the extent to which David Petraeus let his guard down is breathtaking. Certainly it is an act he rues today. He has told his friend Colonel Peter Mansoor that he considers his behavior, “morally reprehensible”, though interestingly could not resist a flick of self-defence, pointing out that he had “violated no laws”. But then Paula Broadwell is nothing if not convincing when it comes to outlining her own credentials and, given the glowing portrait of ‘strategic leadership’ she penned as David Petraeus’s biography, nothing if not flattering. And while Paula Broadwell stroked her subject’s ego with one hand she shored up her own credibility with the other; part Mata Hari, part blue-stocking. Paula Broadwell listed both from the University of Denver, one in international security and one in international negotiations. In fact as the Boston Globe reveals the university registrar only lists her as having been awarded one degree in international security in 2006. It didn’t stop the University inviting Paula Broadwell back to address their alumni society in 2012. But the recent revelations did see a wobble of sorts when, earlier this week, the angst-ridden administration removed the video of her speech which had been proudly posted on line. It has since been reinstated. As far as a second Harvard professor is concerned Paula Broadwell was, “a lot of talk but not a lot of follow-through”. David Petraeus may beg to differ. Certainly Paula Broadwell never tired of talking herself – or her subject – up. When it came to promoting her book, for Paula Broadwell, establishing her own academic, military and security credentials came second only to establishing whether General David Petraeus was, as Jon Steward put it, “awesome or incredibly awesome”. She herself was a graduate of West Point and a specialist in counter-terrorism with black ops experience, high security clearance, “and then some”.